Introducation to Parallel Computing is a complete end-to-end source of information on almost all aspects of parallel computing from introduction to architectures to programming paradigms to algorithms to programming standards. It is the only book to have complete coverage of traditional Computer Science algorithms (sorting, graph and matrix algorithms), scientific computing algorithms (FFT, sparse matrix computations, N-body methods), and data intensive algorithms (search, dynamic programming, data-mining). 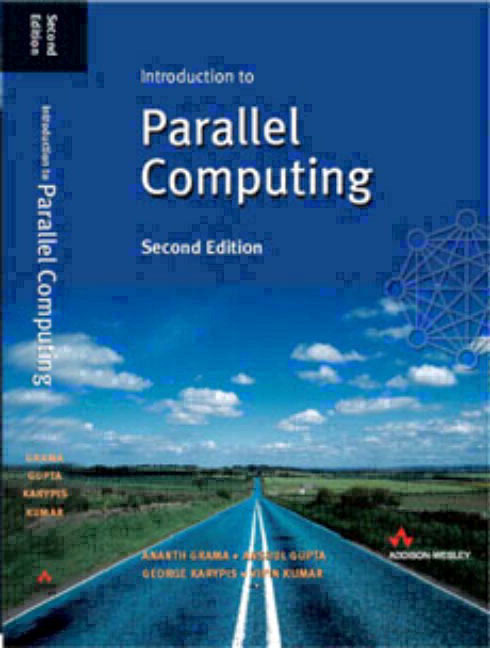 A complete source of information on all aspects of parallel computing - gives students a hlisitic overview of the subject. The only book to have complete coverage of traditional Computer Science algorithms (sorting, graph and matrix algorithms), scientific computing algorithms (FFT, sparse matrix computations, N-body methods), and data intensive algorithms (search, dynamic programming, data-mining) - students gain strong foundations in algorithm theory and applications. The first book to cover together MPI, Pthreads, and OpenMP - the three most widely used standards for writing portable parallel programs. The modular nature of the presentation of this book enables instructors to teach a variety of undergraduate- and graduate-level courses.